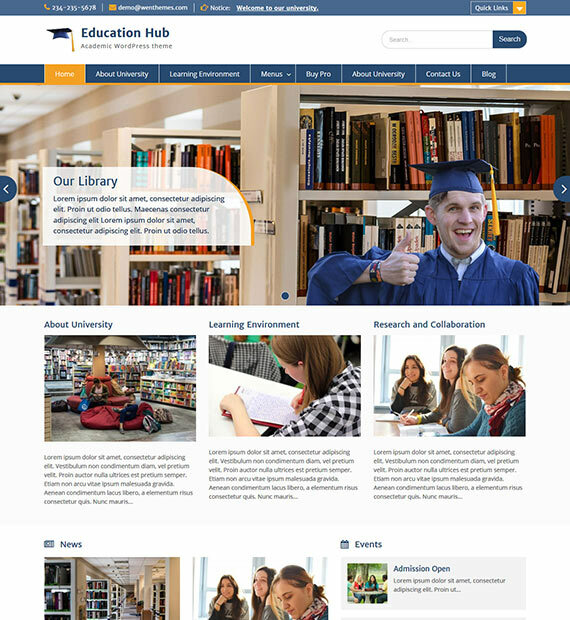 Elegant and clean, Education hub is certainly a great choice for you if you are looking for a creative and feature-packed theme for your education based sites. This theme is perfect for university, schools, institutions, colleges as well as any other type of educational sites. Being a flexible and multipurpose theme, you can even use this for business and corporate sites. Education hub being super flexible and customizable the perfect website is just a few minutes away.